The FBI’s homage to The Man From U.N.C.L.E. We were checking out the DVD release of The FBI’s second season and came across what had to be a clear homage to The Man From U.N.C.L.E. The FBI episode involved was the first of a two-part episode called “The Executioners,” in which guest stars Walter Pidgeon and Telly Savalas play a pair of mob bosses and aired in the spring of 1967. Anyway, here are the similarities to U.N.C.L.E. U.N.C.L.E. : U.N.C.L.E.’s New York headquarters uses Del Floria’s Tailor Shop as a front. U.N.C.L.E. personnel go into a changing room, pull on a hook, which activates a hidden door that leads to the security entrance, where viewers would see Napoleon Solo (Robert Vaughn) and Illya Kuryakin (David McCallum) enter. The FBI: La Cosa Nostra uses Milo’s clothing store in New York as a front. Mobsters go behind a changing screen that obscures a door. Once inside, they pull a hook, which activates a hidden door that leads to La Cosa Nostra’s hidden armory. 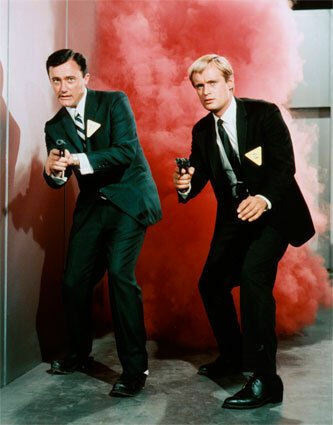 Robert Vaughn and David McCallum in an U.N.C.L.E. publicity still. Another similarity: The Man From U.N.C.L.E.’s pilot, The Vulcan Affair, was directed by Don Medford, and later released as a movie, To Trap a Spy. 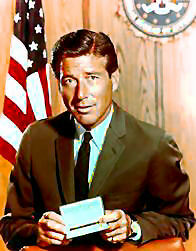 The FBI episode was directed by Don Medford and later released as a movie, Cosa Nostra, Arch Enemy of the FBI (outside the U.S.). Meanwhile the new DVD has three bonuses. 1) At the start of part I, we have the “bumper” where announcer Hank Simms says, “Next…The FBI…in color!” That has been stripped from other episodes after it went to syndication and color became commonplace. 2) In the main titles, we see the Ford Motor Co. logo. “The Ford Motor Company presents…The FBI, a Quinn Martin/Warner Bros. production!” That’s from the original broadcast version and has been stripped from other episodes after the show went into syndication. 3) At the very end, we see star Efrem Zimbalist Jr. tell us we’ve only seen the first half of the story and to tune in next week. UPDATE (Feb. 22): We watched Part II on the DVD. It also has the Ford Motor Co. as part of the main titles. At the end (no spoilers): we see a brief sequence with Efrem Zimbalist Jr.: “Next week, The FBI will not be seen so the Ford Motor Co. can present an inspiring motor picture, The Robe, starring Richard Burton, Jean Simmons and Victor Mature.” Zimbalist assures viewers that The FBI will return in two weeks. UPDATE (April 14): Warner Bros. uploaded a clip from Part I of The Executioners to YouTube showing the secret Cosa Nostra weapons drop. Decide for yourself whether Milo’s resembles U.N.C.L.E.’s Del Floria’s secret entrance. 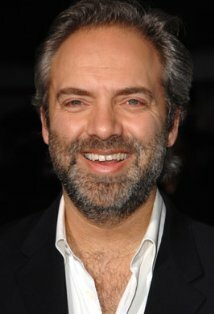 Sam Mendes, the director of Skyfall, will have a videoblog posted tomorrow on the official www.007.com Web site tomorrow, according to the film’s official Facebook page and Twitter feed.